Horse & Hound magazine recently rated the Hermès Cavale among its top ten saddles in the world – and at almost £5,000 – if you’re looking for sturdy luxury, you would expect to pay nothing less. This particular saddle, hand-crafted by skilled artisans employing the finest leather, is highly prized among today’s most serious show jumpers. It is a symbol of the longevity of Hermès, the Paris-based luxury goods business, stretching back to 1837 when young Thierry Hermès set up a small workshop in the city’s back streets, fashioning reins, bridles, harnesses, and assorted other tackle for the horse-dependent transport systems of the age. The fact that Thierry’s company still manufactures high-quality saddles in the 21st century might suggest that Hermès is a traditional business, able to somehow survive in a changed and turbulent world. In fact, if old Thierry could see what his little family firm produces these days, he would probably be bewildered. The Hermès brand, while holding fast to a commitment to quality and tradition, has another secret for success – its ability to adapt and change with the times while remaining, essentially, a family firm. So, how did a small Parisian saddle-maker become a globally renowned fashion house and high-end purveyor of luxury merchandise? The Hermès trademark of an elegant horse and carriage is recognised across the globe as an emblem of luxury; not just in saddlery, but everything from status symbol scarves and handbags, leather goods, jewellery and accessories, footwear, perfumery, porcelain, crystal, and ready to wear fashions – an impressive 30,000 separate items in total. Throughout most of the 19th century, Hermès remained true to its origins in saddle-making, with the crucial difference that, even in the early days, it targeted the top end. Dedication to the highest ideals of craftsmanship and superior materials, meant that Hermès attracted custom from the super-rich of the times. No French nobleman worth his salt would saddle up with anything less than a Hermès. Hermès rode the choppy waves of the middle of the 20th century, finding new markets, producing new lines and exploiting the reputation of its brand. It already had a strong identity in the USA, thanks to its equestrian heritage, but now it launched an invasion, setting up iconic stores, most notably in Madison Avenue, New York. The American love affair with French chic, class, and style, helped cement the company’s dominant status in the luxury market – a position it still occupies. In the 1970s, Hermès looked to be in a decline of its own making. Refusing to compromise on its principles of using only the highest quality, natural, and fairly sourced materials, it was being overtaken by competitors who were following the fashion for all things man-made. Fortunately, fashions change, and the Hermès star began to rise again with a change in consumer habits. As the trend for ecological awareness grew, natural goods once again became sought-after badges of greenness. Hermès also recruited, in 2003, the famed fashion designer Jean-Paul Gaultier to guide the company’s creative drive. His flair and style helped keep Hermès ahead of the game in haute couture. But underlying the glitzy façade, Hermès remained, and remains still, a very traditional operation. Not only does Hermès seek to acquire prized leather workshops, it also recruits some of the best artisans to work in them. The company has always rejected the mass-production ideal. All items are manufactured in France; often a single artefact being created by hand by one worker, from start to finish. It is the antithesis of the modern business instinct which sees the streamlining of production methods as the best way to maximise profits. And yet, how many other luxury brands can fetch such high prices – even on the second-hand market? This is just another example of how Hermès contradicts the modern world; relatively small factories dotted across France, turning out expensively produced merchandise, using costly, ethically sourced materials, and selling at eye-wateringly high prices. Somehow, this strategy has worked, through good times and bad. The company has an unerring ability to spot a trend or development, and react quickly. It also takes advantage of quirky opportunities. When, in 1981, the then chief executive, Jean-Louis Dumas, found himself seated next to Jane Birkin, the English-born actress and singer so beloved of the French, on a flight from Paris to London, he noticed she was having trouble with her hand luggage – a straw bag. Mr Dumas promptly went back to his workshops and had a leather alternative created for her, known ever since as the Birkin bag. You can’t buy that kind of publicity. And when that icon of fifties style, Princess Grace of Monaco sprained her wrist, she famously used a Hermès silk scarf as a sling. How imaginative – and what a PR gift. Quick-witted and keen-eyed, it was Jean-Louis Dumas who was responsible for turning around the fortunes of the family firm in the 1980s. Trained at Bloomingdales in New York, he decided to concentrate on silk and leather goods, and ready-to-wear, adding new product ranges, but adhering to traditional manufacturing techniques. The scarf is an illustration of the company’s belief in tradition, but also of its ability to adjust. Hermès had, by the 1930s, already adjusted its operations to take account of the horse’s decline and the rise of the motor car. Saddlebags gave way to luggage, designed specifically for the adventurous new breed of motorist. Hermès designers travelled to North Africa and began a relationship with the Tuareg tribes that continues to this day. From them the company adopted, and adapted, age-old designs for its scarves, made from mulberry leaf-fed silkworms, and later applied Tuareg designs to Hermès’ silver jewellery patterns. Market analysts were not surprised when Louis Vuitton Moët Hennessy (LVMH), the world number one in luxury goods, made a move on Hermès in 2010. What began as a corporate courtship turned into something much more unpleasant. The Hermès dynasty dug in for a long siege which lasted for four years until a truce was called. Hermès complained of the apparently underhand way LVMH had secured a large stake in its company. 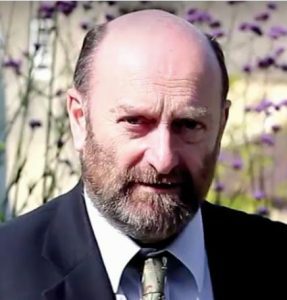 Claim followed counter-claim, and the whole affair was heading to the courts when an agreement was finally reached, and both parties went their separate ways. Axel Dumas, the sixth-generation Hermès chief executive, described the event as “the battle of our generation.” But the fight illustrated the precarious perch occupied by Hermès. Can an essentially family-run business maintain its independence in the shark-infested waters of 21st century big business? The luxury goods market has taken full advantage of the emerging Asian markets, particularly China, where demand has surged in recent years. But with gloom settling on China, Hermès, together with other elite brands such as LVMH, Chanel, and Dior, are braced for heavy weather. Indeed, in February this year, Hermès warned that the global slowdown would weigh heavily on its sales. Conventional wisdom has it that, in any economic downturn, the market for luxury items tends to hold up well, even as wealthy consumers consider the wisdom of extravagant spending. As the curve on the graph begins to climb again, opulence comes quickly back into fashion. And Hermès, among other brands, sensibly understands that trading with the Chinese is a long game. Chinese consumers want quality, and they want internationally-known brands, too – which sees Hermès well-placed. The company is already in the top twenty most searched-for luxury brands in China. Timing, as ever, is all-important. 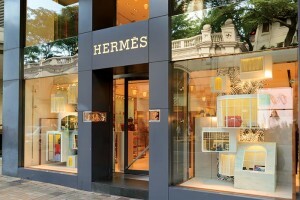 Hermès is still in the process of expending capital in China to establish itself. Holding that line in this climate may prove to be challenging. But Hermès has a reputation for adapting to the changing climate of commerce. It has recognised, for instance, that Internet trading is fast becoming the norm; the Internet’s share of the market is beginning to eclipse traditional store sales in practically all sectors. Hermès has responded with a series of internet “pop-up shops,” which have proved to be a useful and sophisticated alternative route to market. Hermès has survived almost two centuries in which turbulence has been the norm. There’s no reason to suppose that it has lost the ability to be savvy and quick to respond to changing circumstances. Not everyone is in the market for a new saddle, but they say that every 25 seconds, somewhere in the world, someone buys a Hermès scarf. If you’re looking for a measure of business success, that statistic is hard to beat. Whatever the future holds for Hermès, one imagines that the world’s silkworms are going to be kept busy munching mulberry leafs for a long time to come.